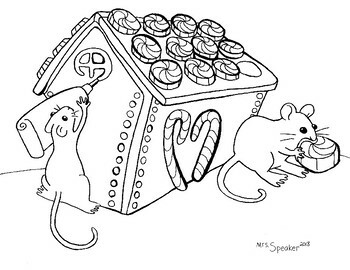 Original fantasy drawing of two mice building a ginger bread house for Christmas. They're decorating with frosting, candy canes and mints. You may also enjoy. . .